The federal government and one of its space launch contractors on Tuesday called on a judge to lift her preliminary ban on purchases of Russian rocket engines, saying that they did not violate U.S. sanctions on Russian officials. Federal Judge Susan Braden sought such assurances last week when she issued an injunction against the arrangement, under which United Launch Services buys engines built by the Russian state-controlled company NPO Energomash for use in its Atlas 5 rockets. United Launch Services is a subsidiary of United Launch Alliance, a joint venture involving the Boeing Co. and Lockheed Martin. 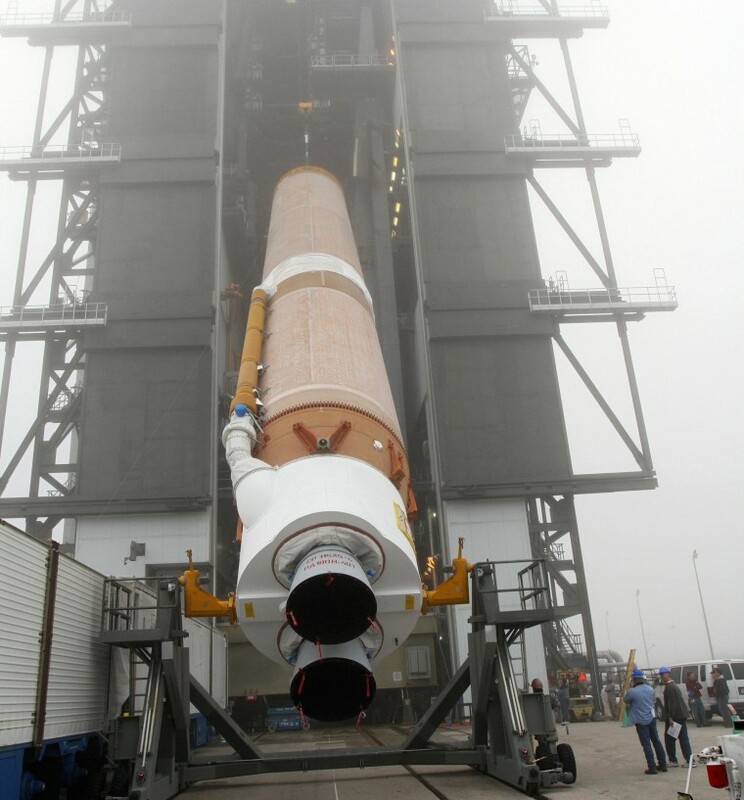 Last year, the Air Force and United Launch Alliance struck a deal to purchase billions of dollars' worth of hardware for launches using the Atlas 5 or ULA's other workhorse rocket, the Delta 4. ULA's main competitor, SpaceX, is contesting the "block-buy" deal in the U.S. Court of Federal Claims. Among SpaceX's objections was the fact that Russian Deputy Prime Minister Dmitry Rogozin, who is in charge of his country's space program, is also among officials whose assets are being frozen under the terms of U.S. sanctions sparked by the Ukraine crisis. SpaceX argued that United Launch Services' purchases of NPO Energomash's RD-180 engines violated the sanctions because of the Rogozin connection. However, officials from the Treasury and State Departments wrote letters saying that the purchases from or payments to the Russian company were not prohibited. Meanwhile, a Commerce Department official sent a letter saying that she deferred to the Treasury and State Departments. In the wake of those filings, United Launch Services said it was joining in the government's request to lift the ban. Read Tuesday's filings from the federal government and United Launch Services. Tip o' the Log to @Jeff_Foust.